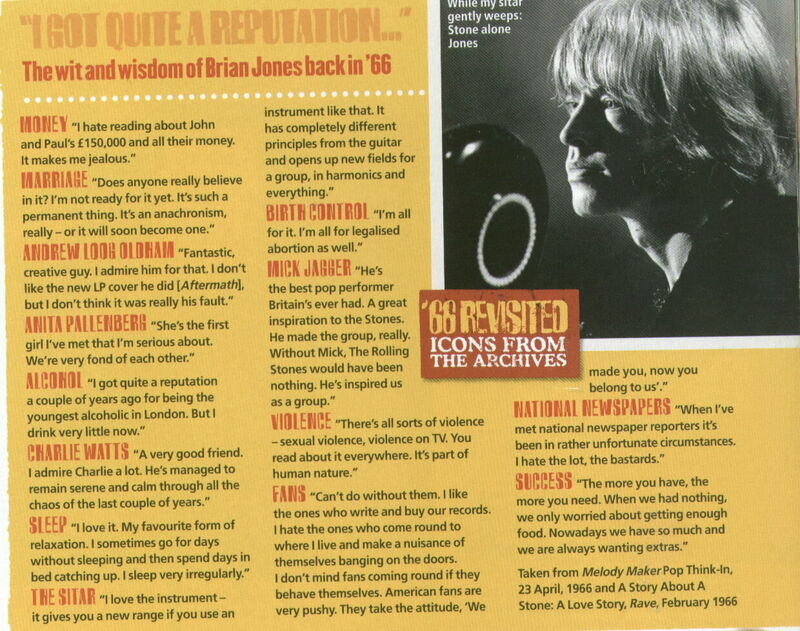 If Keith and Mick were the mind and body of the Stones, Brian was clearly the soul - wrote Rolling Stone magazine few days after Brian's death in August 1969. Apart from being a great guitarist and musical arranger, Brian Jones was also the most eye- catching member of The Rolling Stones. He was always immaculately dressed. 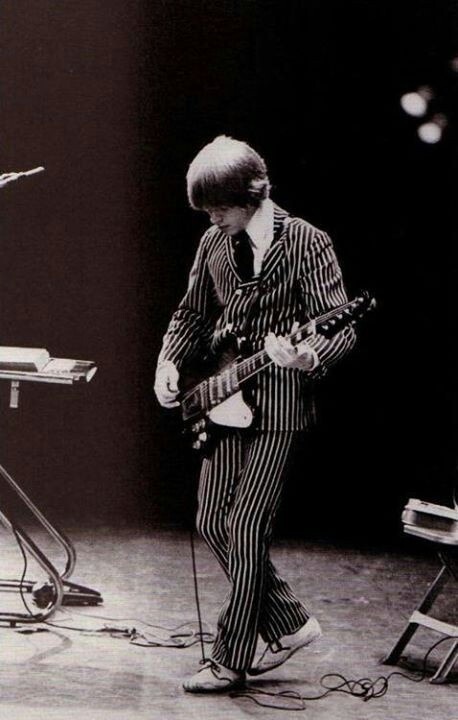 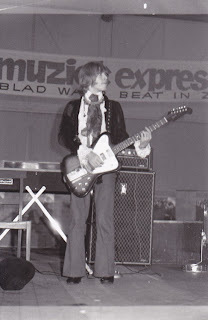 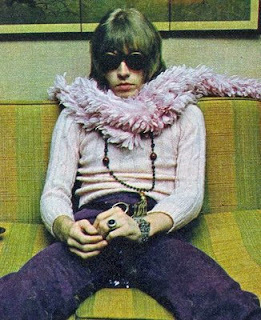 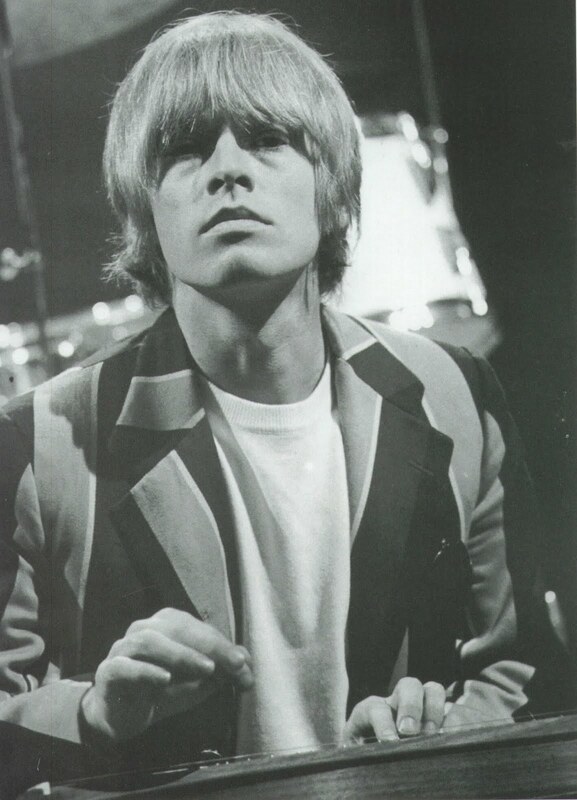 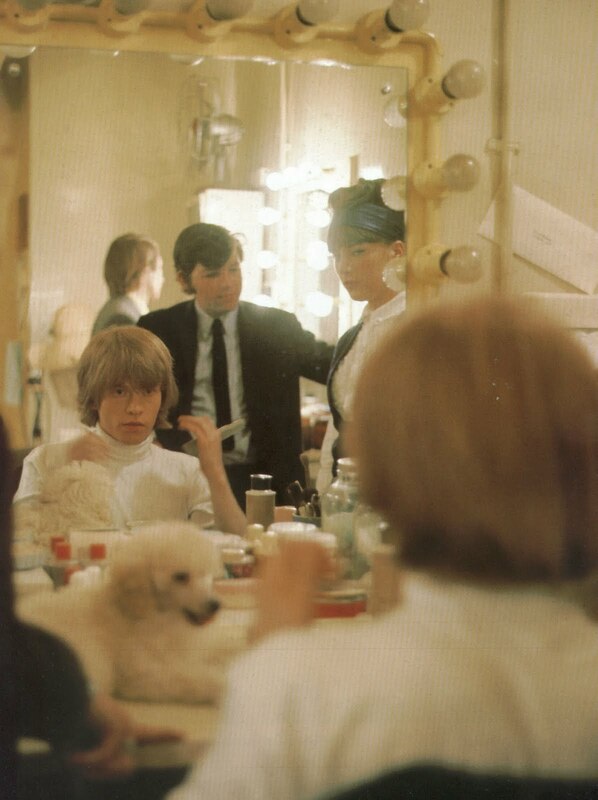 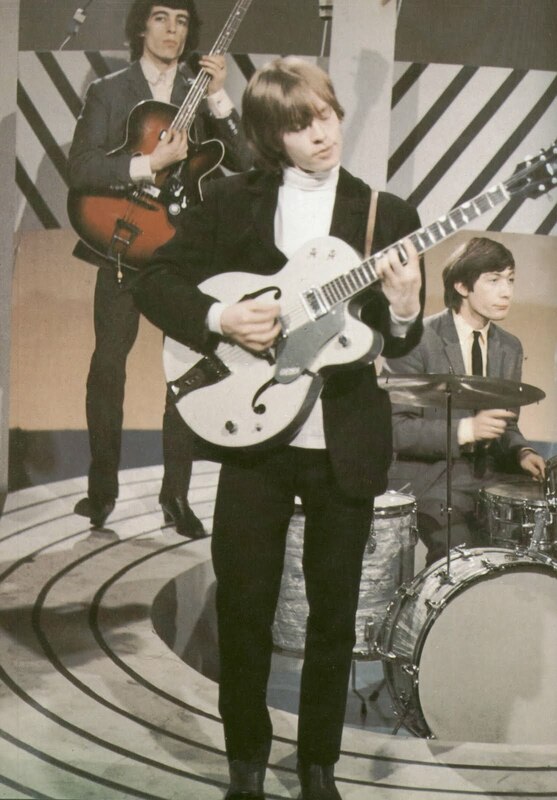 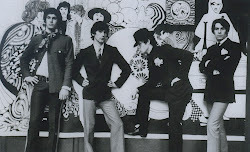 No matter if it was sharp Mod style of early 1960's or a flamboyant Peacock Style of the latter part of the decade, Brian would always get it right. 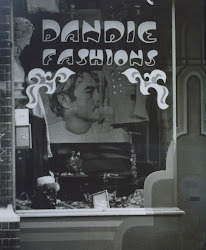 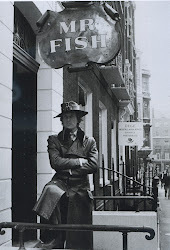 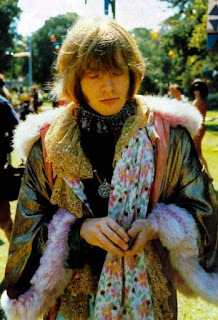 His friend, antique dealer and editor of Men In Vogue Christopher Gibbs (himself a dandy) remembers: Brian did absolutely love dressing up (...) He had a tremendous lot of clothes and spent an awful amount of time preparing himself for late-night forays into the clubs" (Paul Gorman, The Look - Adventures in Pop and Rock Fashion, p 76). 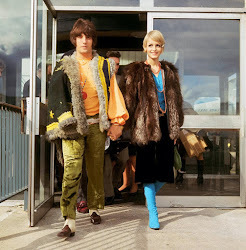 Brian dated Anita Pallenberg between 1965 and 1967, and for those two years they were a 'golden couple' of Swinging London. 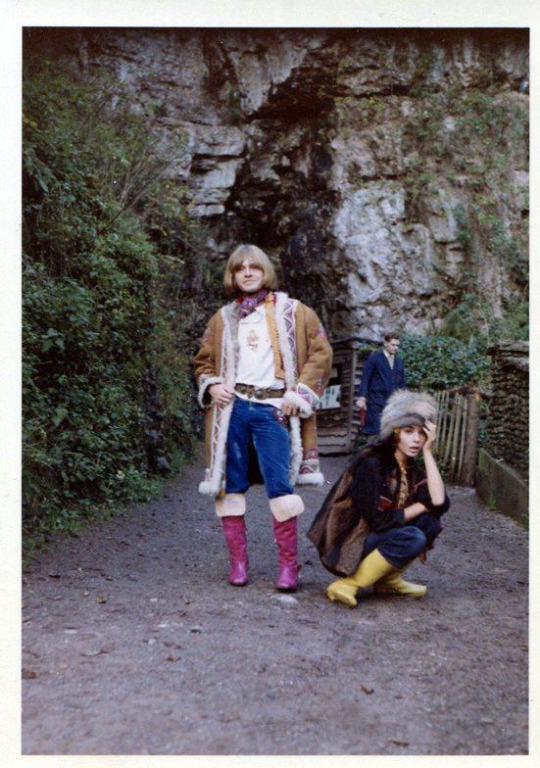 Brian Jones and Anita Pallenberg photographed by Michael Cooper for Men In Vogue, November 1966. 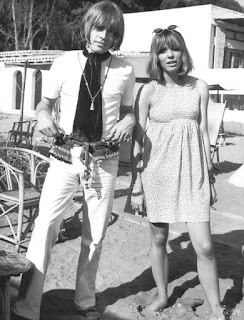 Jones' biographer Geoffrey Giuliano writes about him and Pallenberg: "Together they forged a revolutionary androgynous look, keeping their clothes together, mixing and matching not only fabrics and patterns, but cultures and even centuries. Jones would parade the streets of London wearing a Victorian lace shirt, floppy turn-of-the-century hat, Edwardian velvet frock coat, multi-coloured suede boots, accessorised scarves hanging from his neck, waist and legs along with lots of antique Berber jewellery. 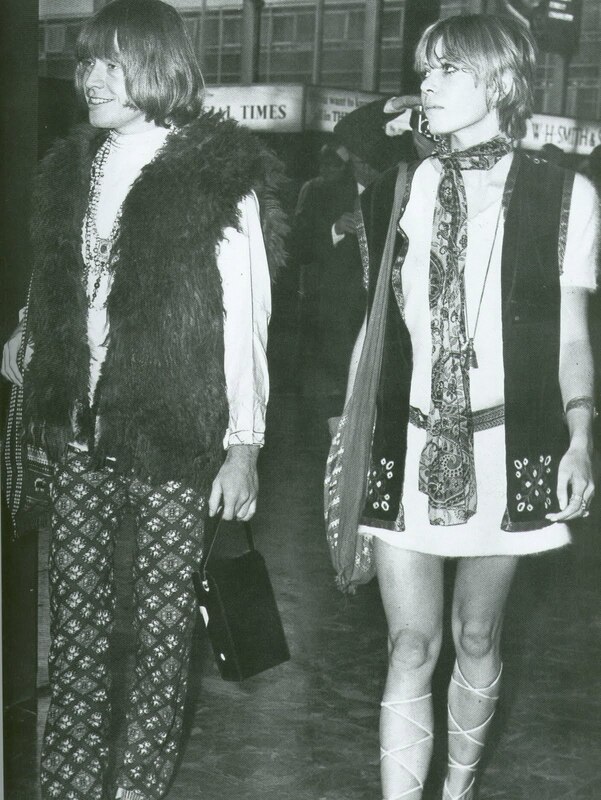 According to journalist Al Aronowitz, 'Jones was the first man I ever knew to wear costume jewellery bought in the ladies' department at Saks'. 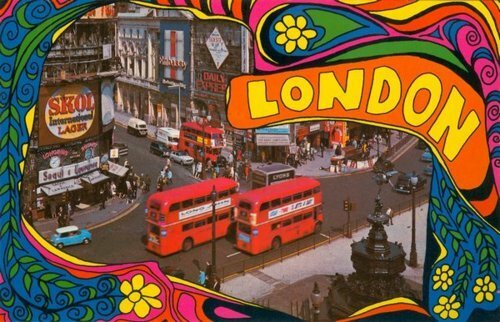 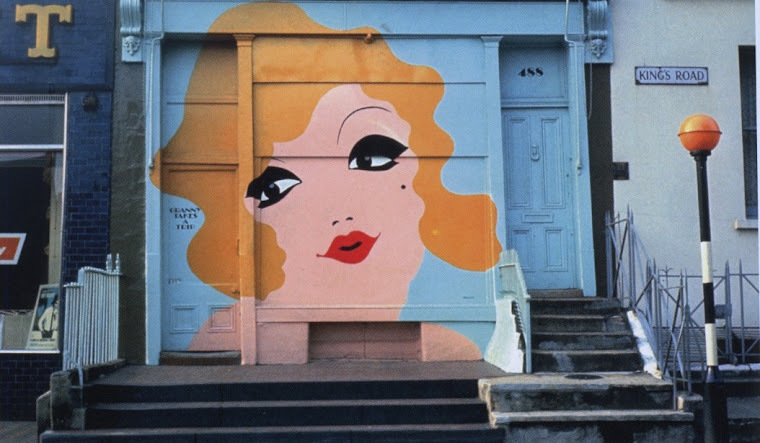 At Courtfield Road (Brian's London apartament), Chelsea's power pair played host to a constant stream of beautiful people from John Lennon and George Harrison to Sonny and Cher, Donovan and Jimi Hendrix. Trendy film maker Donald Cammell, heir Paul Getty, and Britain's bright young thing would gather at the South Kensington flat to smoke dope, drop acid and discuss the issues of the day. 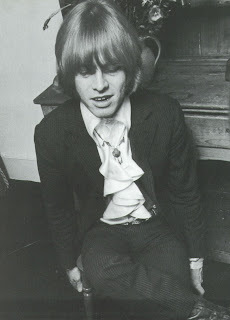 Observed Anita: 'Brian was very interesting socially. 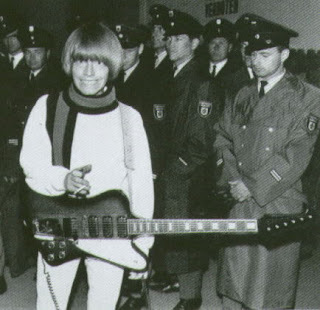 He dealt with the fame and all that. 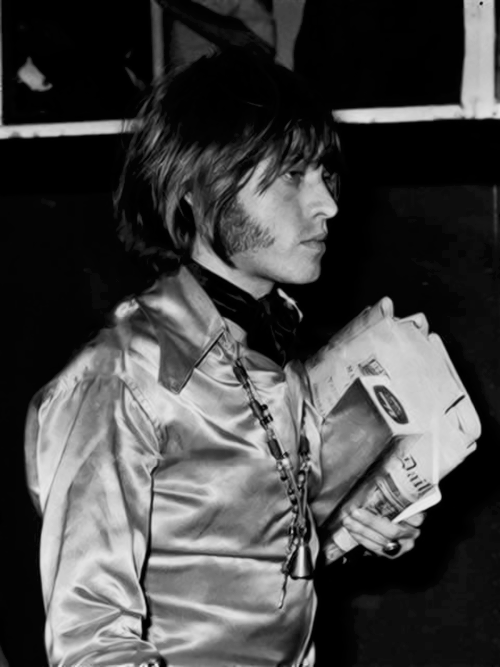 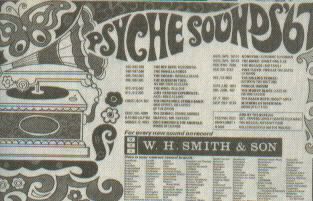 He picked the best, the cream, Dylan, Terry Southern, Warhol. Brian set the pace'." 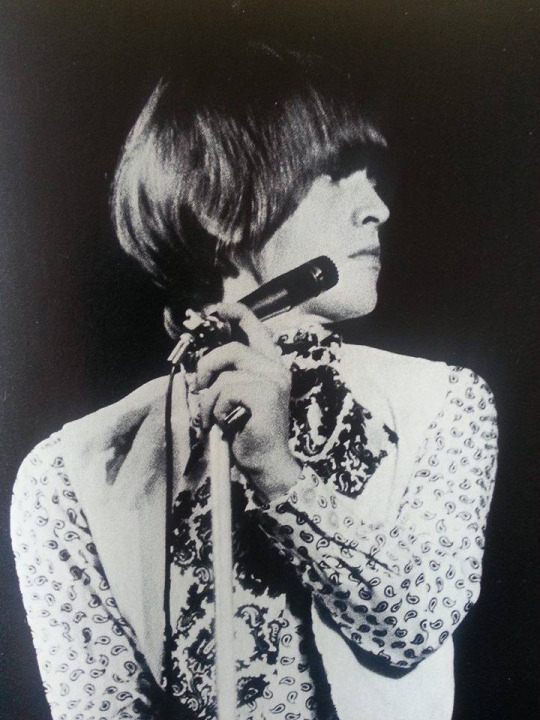 (Geoffrey Giuliano, Paint It Black - The Murder Of Brian Jones, p 47-48). 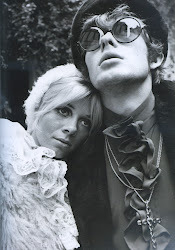 Marianne Faithfull remembers: One of the best things about visiting Anita and Brian was watching them get ready to go out. What a scene! They were both dauntless shoppers and excessively vain. Hours and hours were spent putting on clothes and taking them off again. 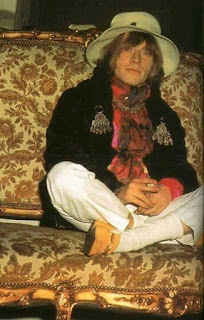 Heaps of scarves, hats, shirts and boots flew out of drawers and trunks. Unending trying on of outfits, primping and sashaying. 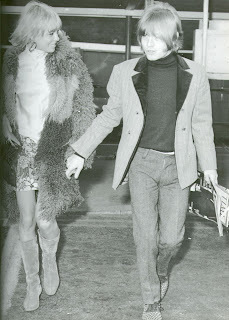 They were beautiful, they were the spitting image of each other and not an ounce of modesty existed between two of them. 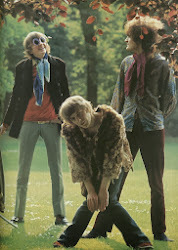 I would sit mesmerised for hours, watching them preening in the mirror, trying on each other's clothes. 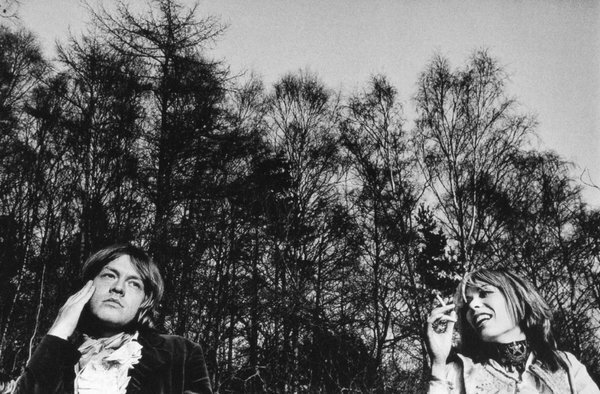 All roles and gender would evaporate in these narcissistic performances, where Anita would turn Brian into the Sun King, Francoise Hardy or the mirror image of herself (Marianne Faithfull and David Dalton, Faithfull, Penguin Books, London, 1994, p 90). 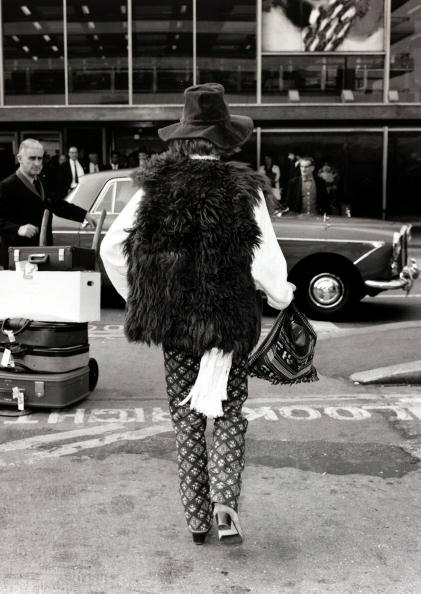 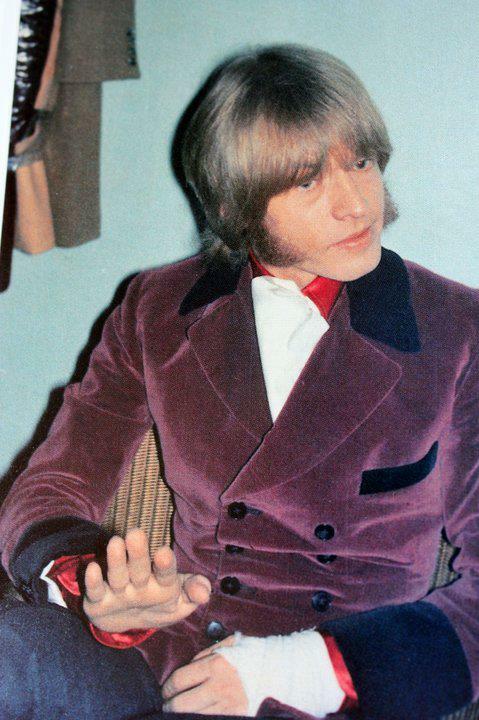 Brian Jones was a regular customer of Granny Takes A Trip, Hung On You and, most notably, Dandie Fashions, where he purchased amazing long, velvet double breasted coats. 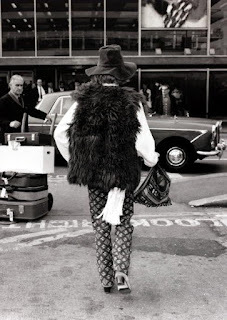 He was an ultimate 1960's dandy - the most perfect example of Peacock Style. 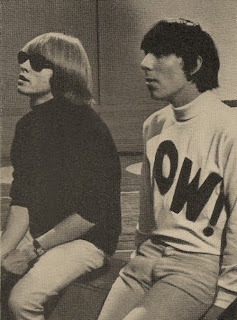 At the beginning - Jones, Jagger and Richards in 1961. Playing Dulcimer on "I am Waiting" during TV show Ready! Steady! Go!, 27.05.1966. Playing sitar on the same show. 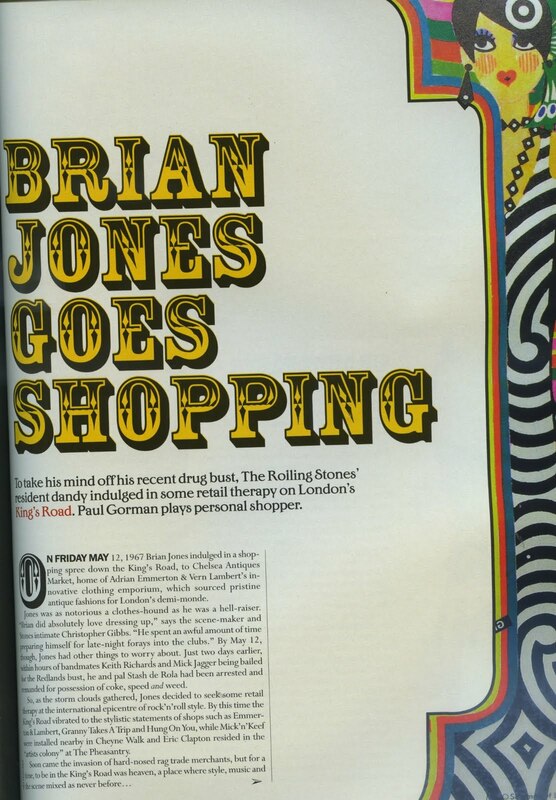 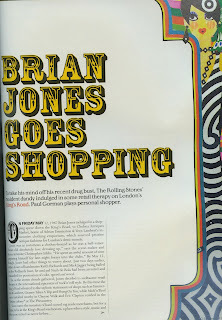 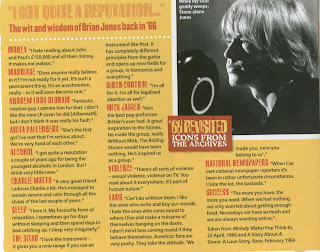 The wit and wisdom of Brian Jones back in 1966 - reprinted from Melody Maker and Rave in Uncut magazine. 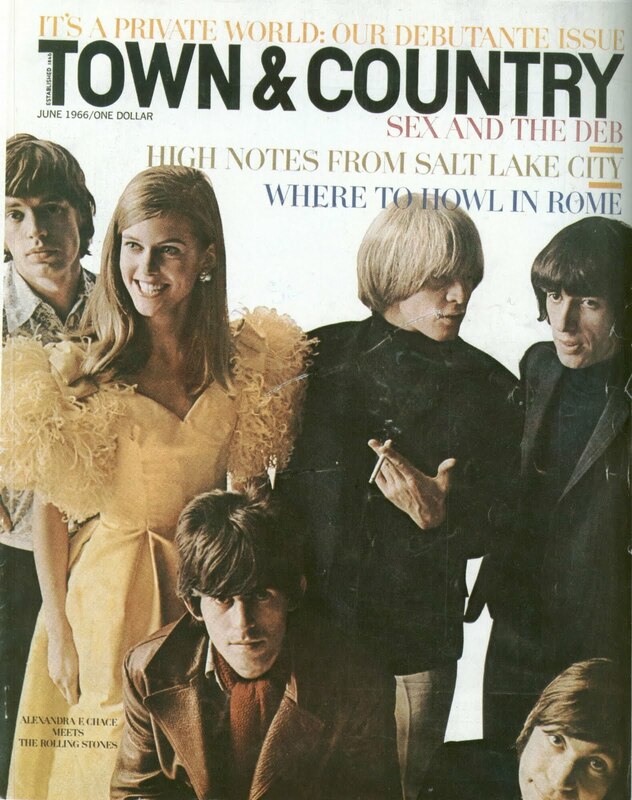 Stones on the cover of Town And Country with socialite Alexandra F. Chase, June 1966. 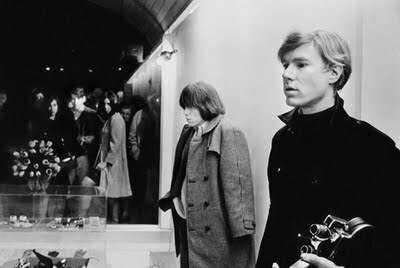 With Andy Warhol in New York boutique Paraphernalia, 1966. 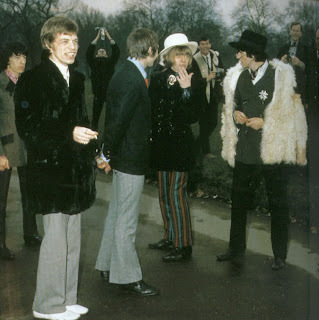 Stones accepting Golden Discs at Kensington Palace Hotel, September 1966. 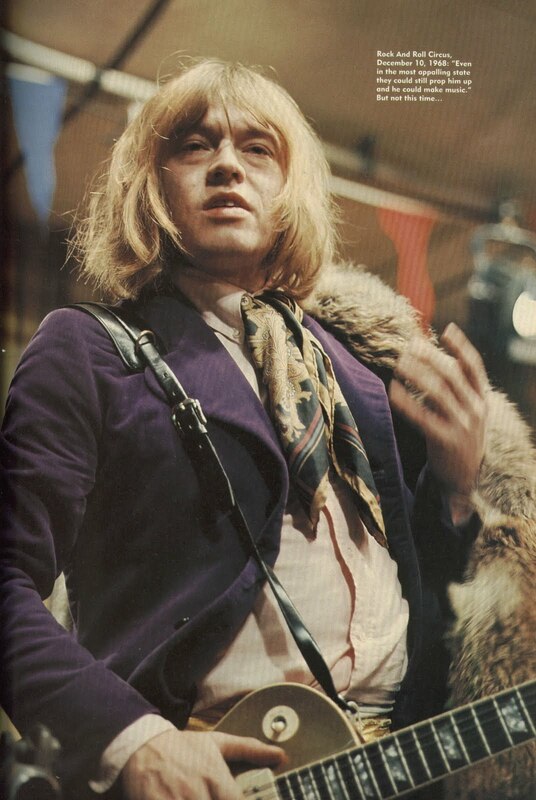 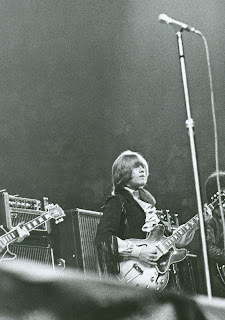 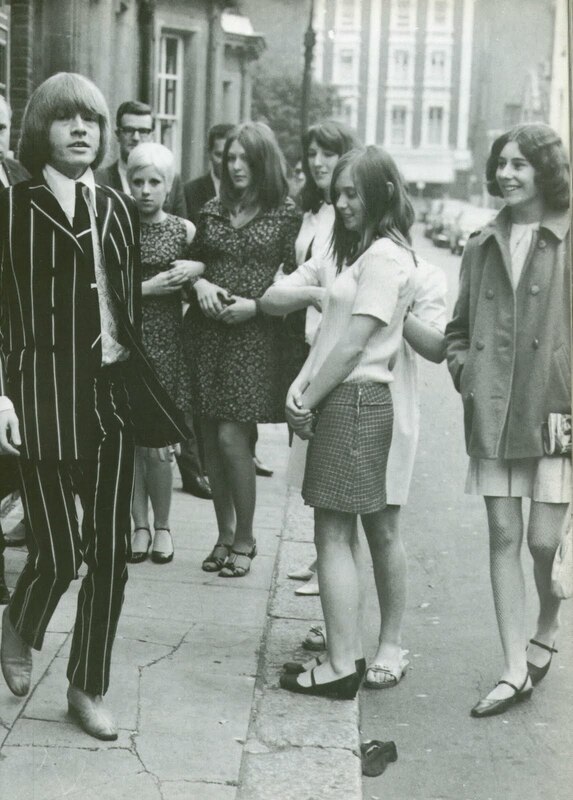 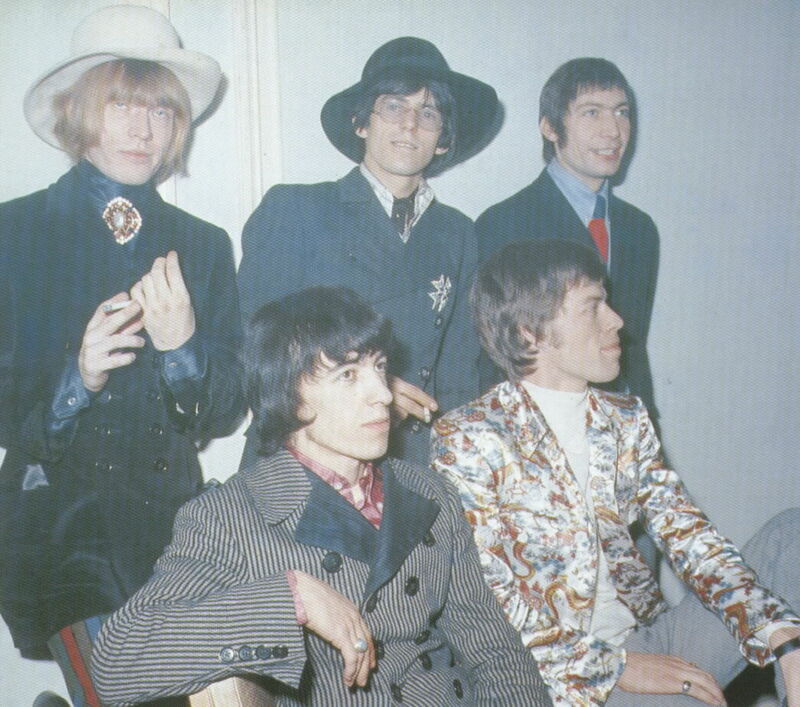 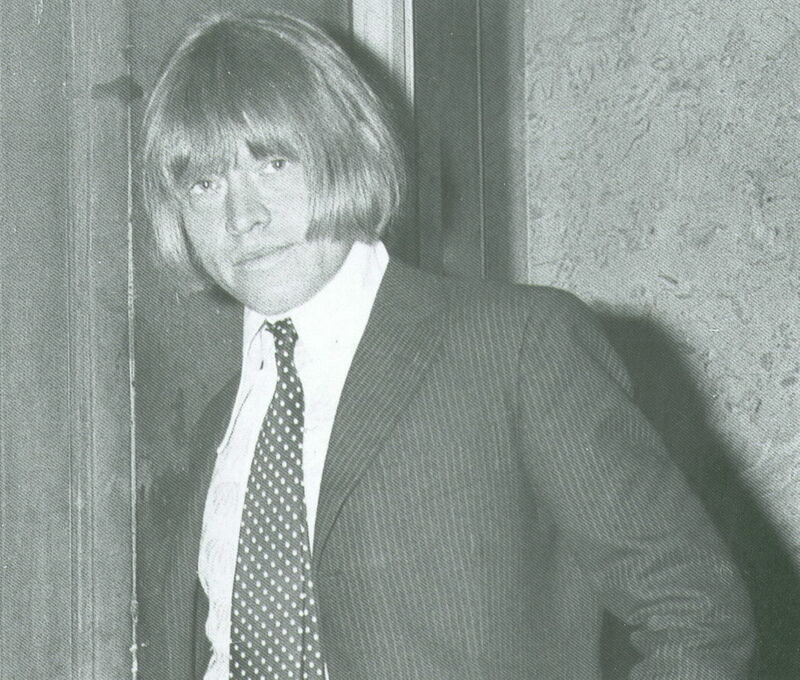 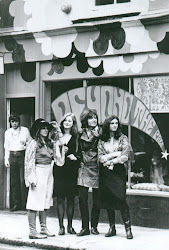 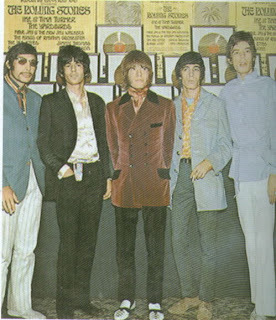 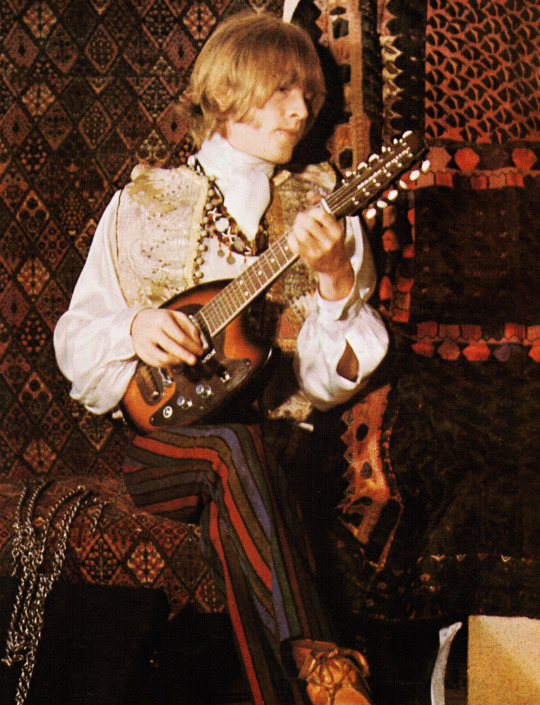 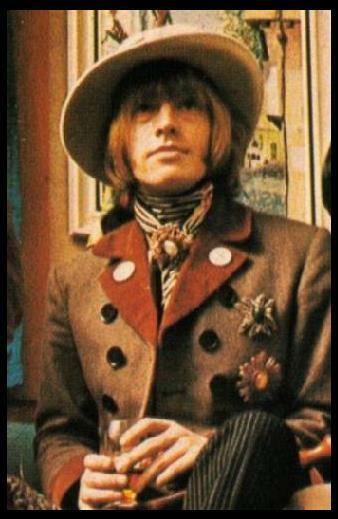 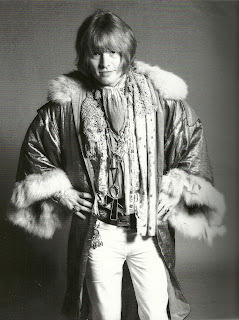 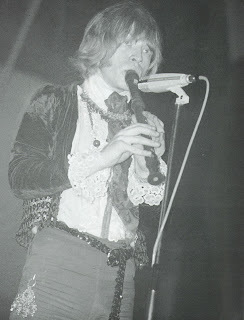 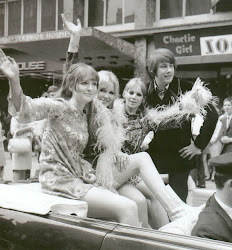 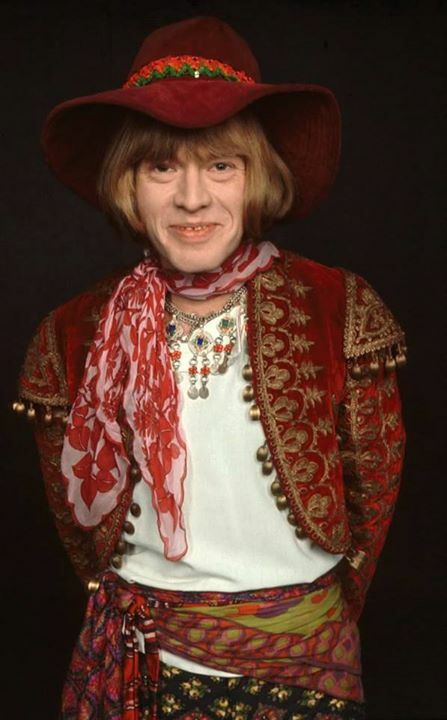 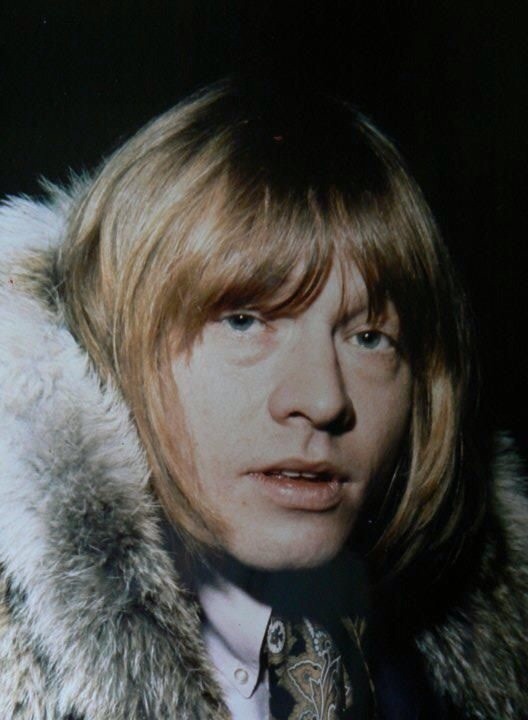 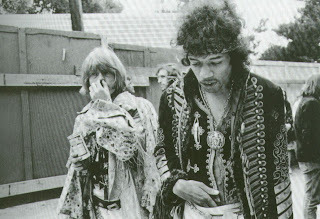 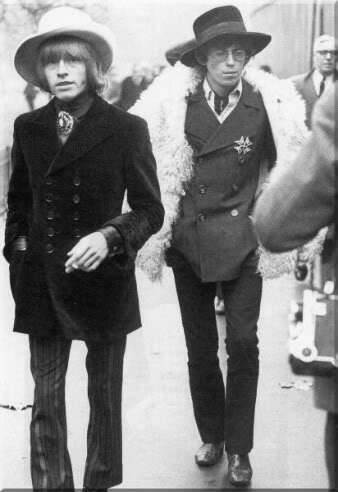 Brian Jones is wearing double -breasted coat from Dandie Fashions. 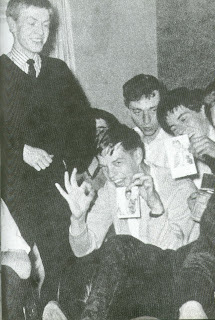 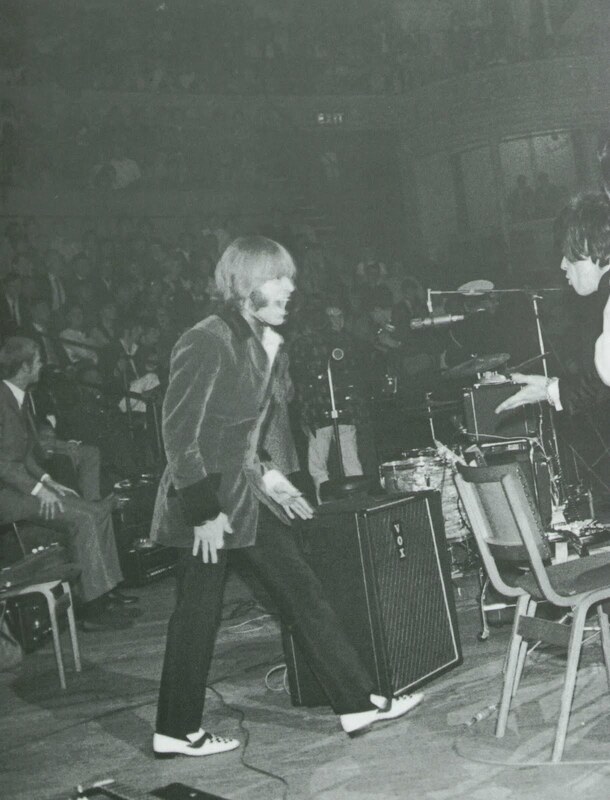 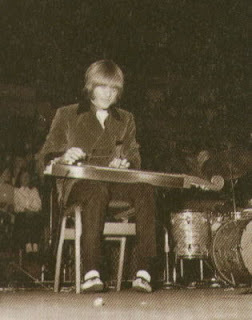 Brian Jones laughing at the riot at Stones gig at the Royal Albert Hall, 26.09.1966. 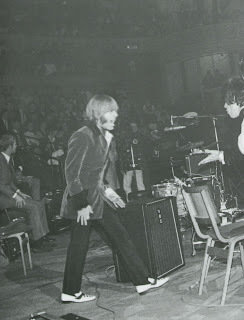 London Palladium, 23.01.1967. 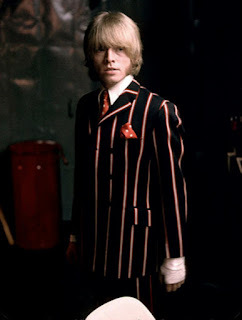 Brian Jones again wears Dandie Fashions coat. 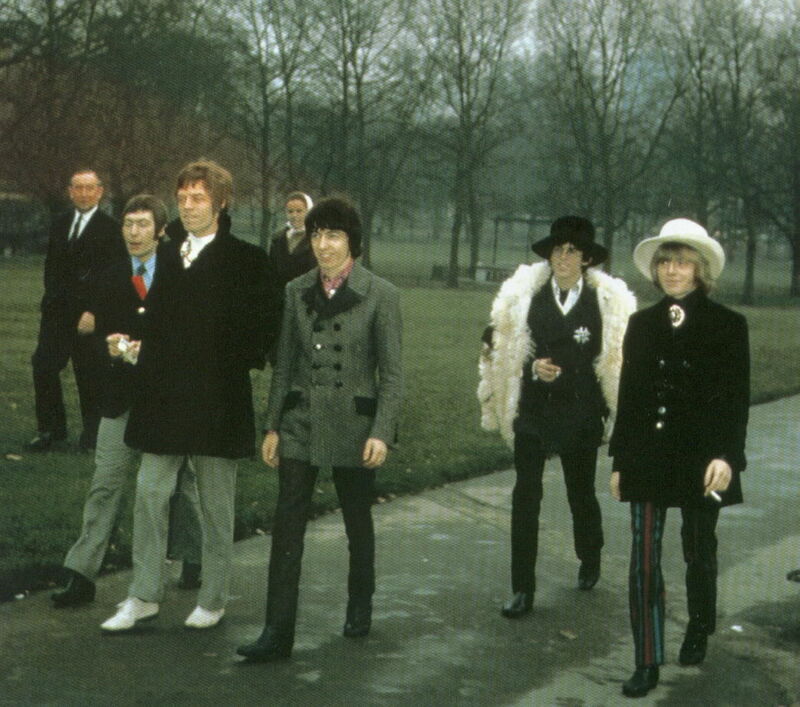 Photoshoot in Green Park, January 1967. 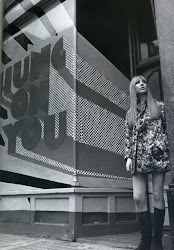 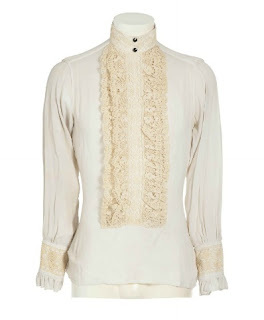 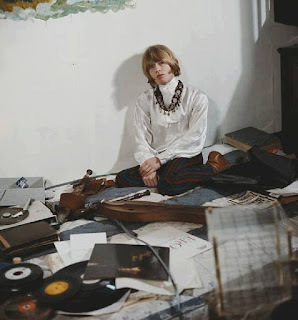 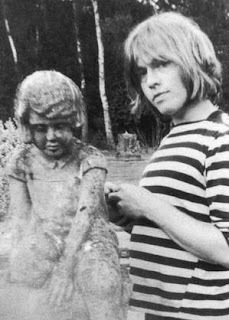 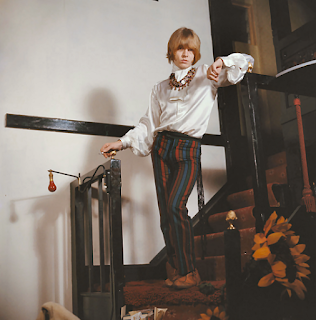 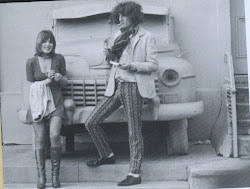 Shirt made by Deborah & Clare worn by Brian Jones around 1968. Recently sold in auction for £1750. 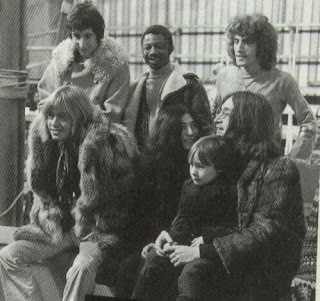 Brian Jones with John Lennon, Yoko Ono, Pete Townshend, Roger Daltrey and Taj Mahal during recording of Rock and Roll Circus, 10.12.1968. 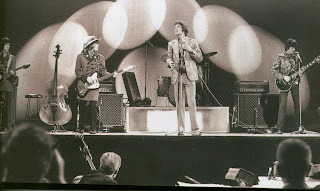 Rock and Roll Circus - Brian's last ever gig with the Stones. 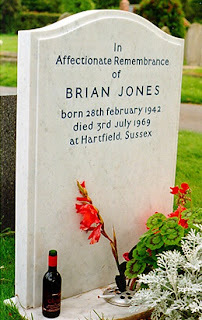 The fascinating story of Brian's life (and bizarre circumstances of his murder) had been a subject of several publications. 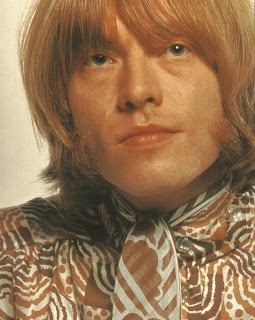 I would recommend Paint It Black - The Murder of Brian Jones by Geoffrey Giuliano, Who Killed Christopher Robin? 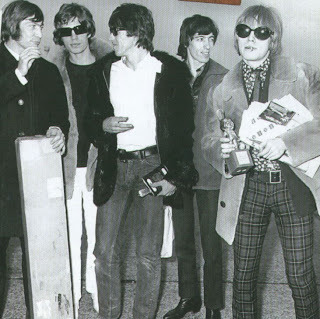 - The Murder of a Rolling Stone by Terry Rawlings, Brian Jones: Golden Stone by Laura Jackson and Blown Away: The Rolling Stones and the Death of The Sixties by A.E Hotchner. 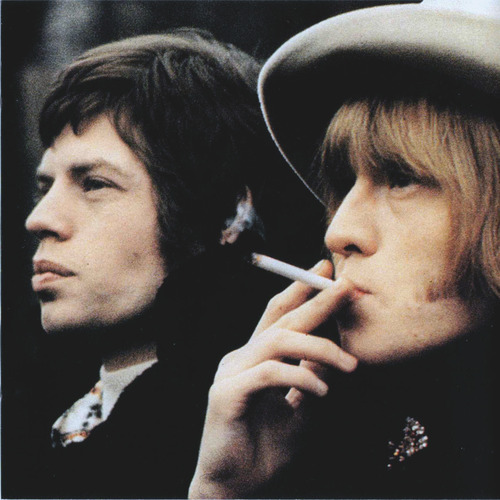 I would also recommend Stephen Wooley's 2005 film "Stoned" about the life and death of Brian Jones. Although it was slated by the critics and many Brian fans, I always defend it - the use of costumes and music in the film are truly amazing - it captures the atmosphere of 1960's really well. 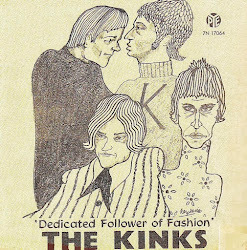 I enjoy your blog and will try to post some mid '60s fashion pages at mine if I can do it without destroying the magazines. oh boy is he gorgous!!! 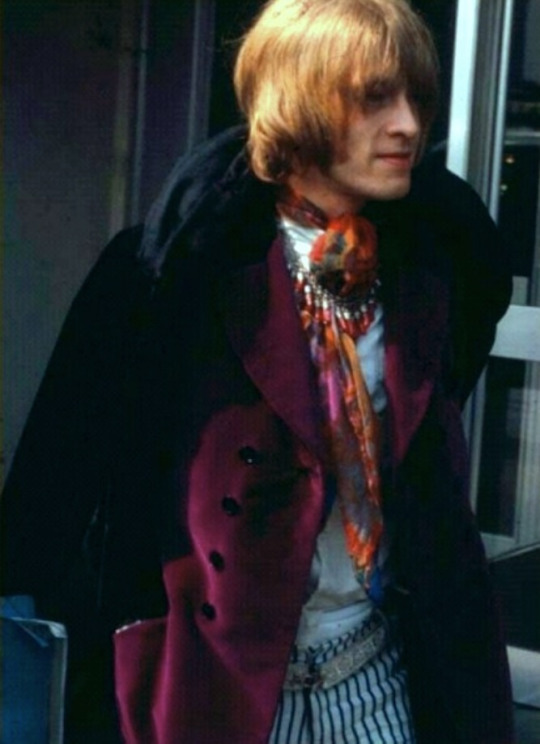 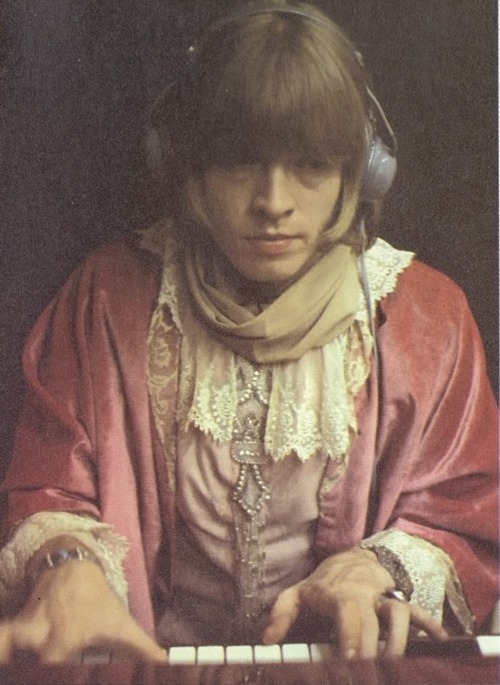 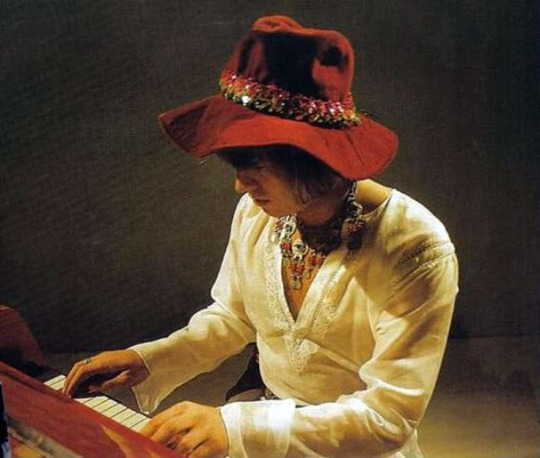 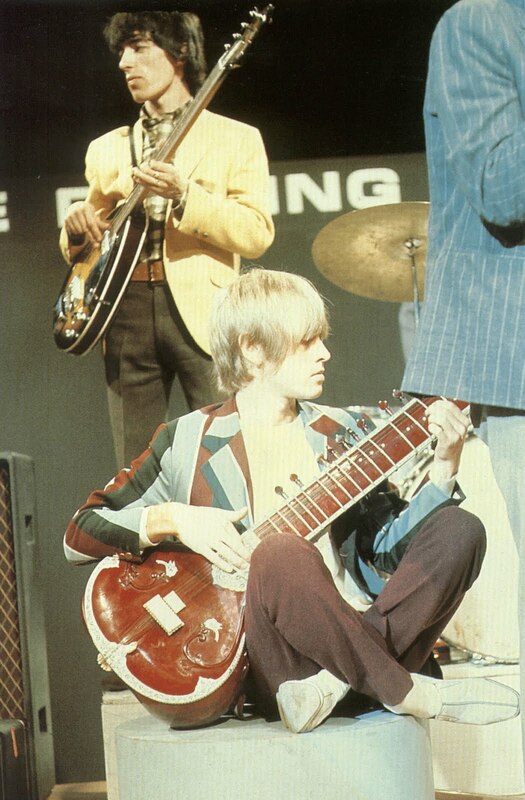 u are so right brian jones is a serious style icon!!! 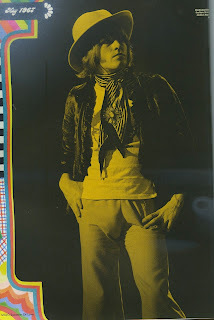 thank u so much for this great post, i never ever can´t see enough pics of him!!! Don't forget the FIRST EVER Brian Jones biography published in 1983 or 1984. 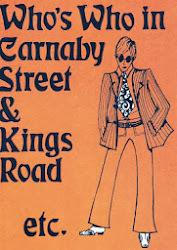 It was written by Mandy Aftel. 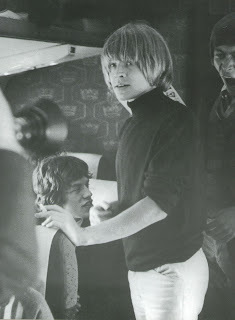 I believe it's called The Brian Jones Story. 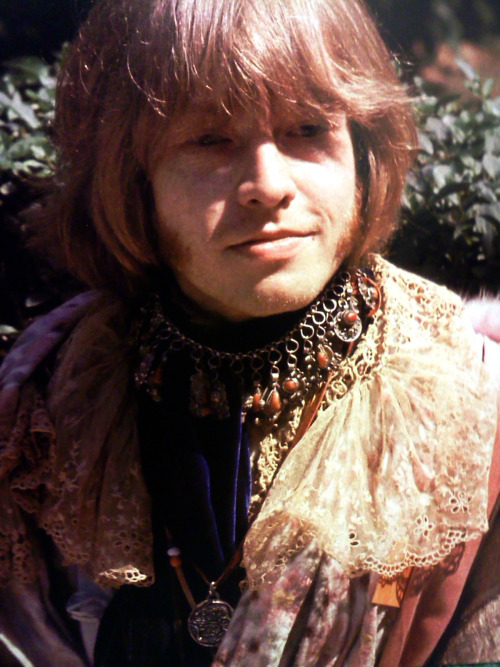 It opened the floodgates, so to speak, for all these other Brian bios and film(s) to be made. 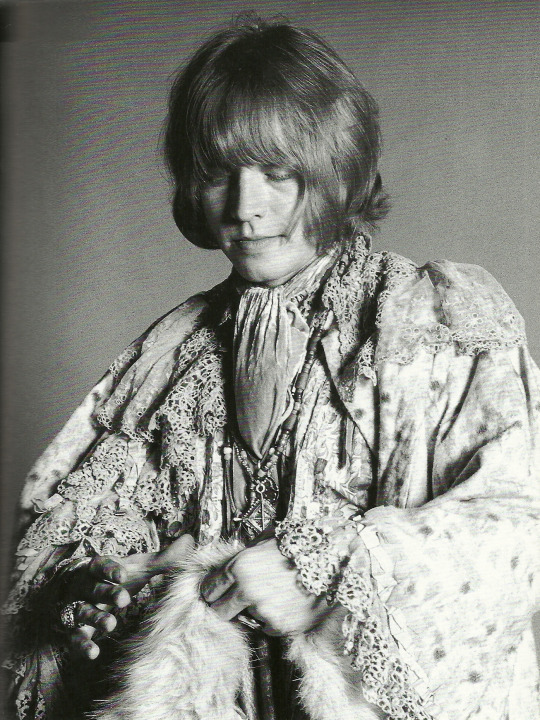 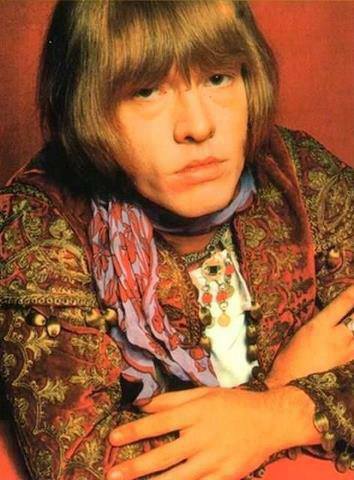 Brian Jones: a man so decadent, he was fired by Keith Richards for being on too many drugs! 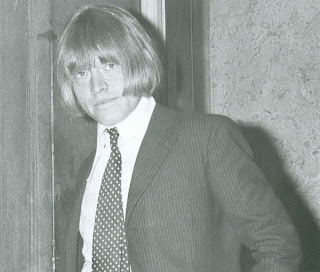 I'm just turning on to your excellent blog now! 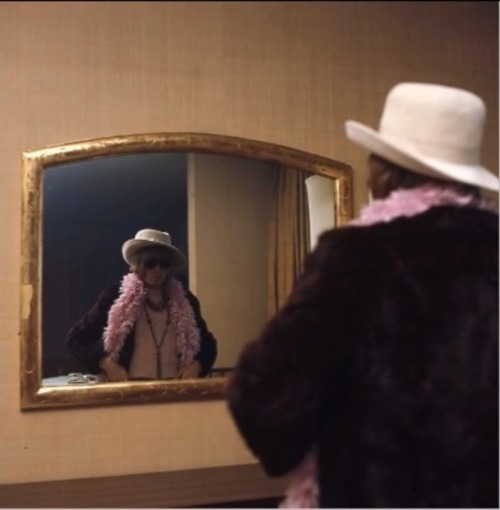 Reading all the old posts. 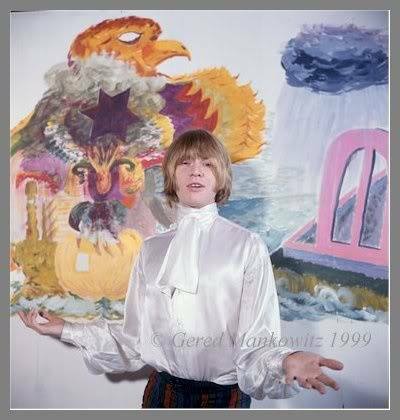 I'm looking for a private collection of Polaroids and stills (Mark Kinnaman photography) of the NY 1965 time period that the Stones were at the Academy of Music, diners, shows, ect. 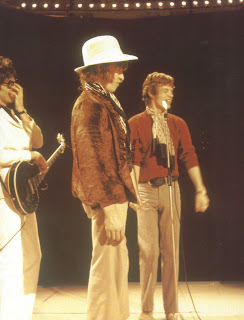 Brown Jones is sporting a White safari hat and button down no collar jacket. 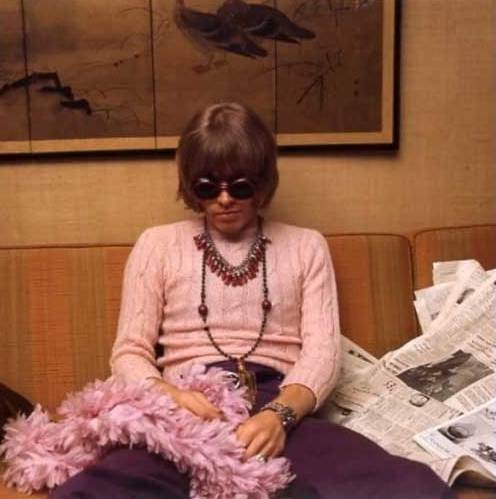 Jagger sitting at the piano with a small boy (my cousin) and the most important pictures of my mother and Keith during their "friendship" This is very important to me as they are the only pictures of my patents together and the fact they were stolen means hopefully someone has tried to sell them. I do have one picture left to confirm they belong together. 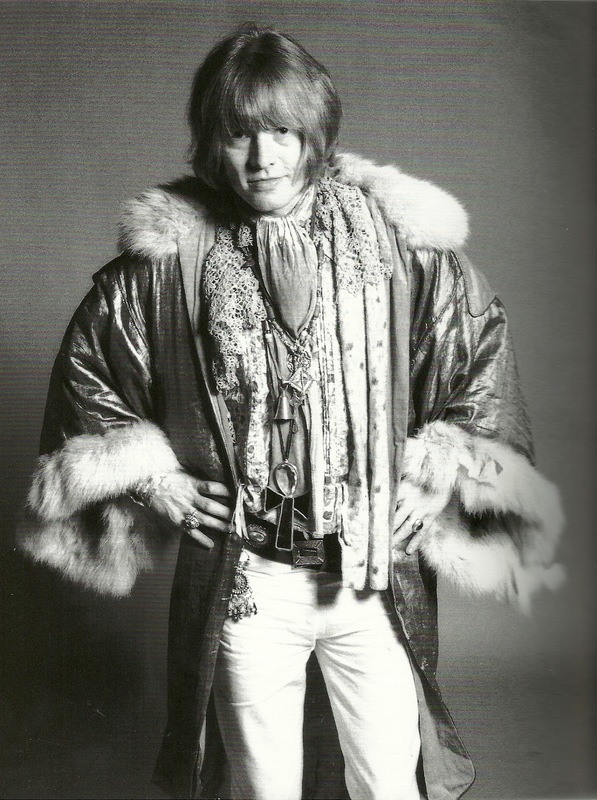 Sorry, Brian Jones also Allen Klein is in many as well.